Stella By TORY & KO. TORY & KO. were honoured when four jewellery pieces were selected by the Palace Staff for the Duchess of Cambridge - Kate Middleton - prior to her Royal Tour of New Zealand in 2014. Victoria and Kirstin have created pieces for the BAFTAS & OSCARS red carpet events, been asked to create specialty pieces to be worn in films by actresses Robin Tunny (Paparazzi) and Rachel Weisz (The Light Between Oceans), had their jewellery worn by actresses Evangeline Lily (Hobbit) and most recently Thomasin McKenzie Harcourt at the Premiere of the dramatic and moving film The Changeover (Directed by Stuart McKenzie and Miranda Harcourt). 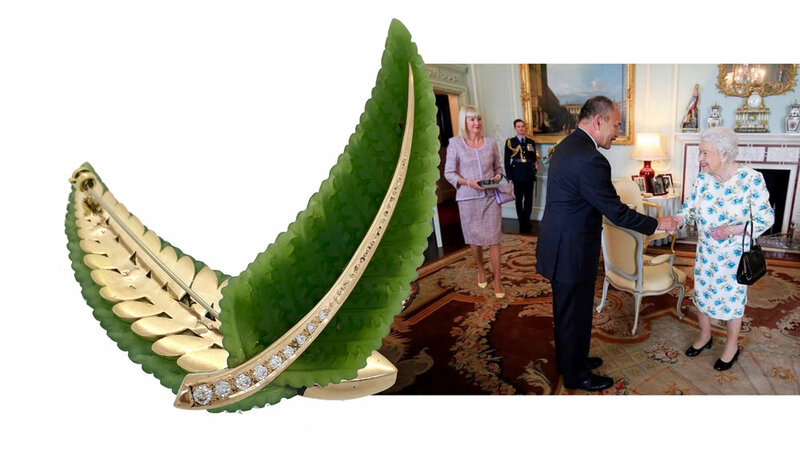 A commission for the Governor-General of New Zealand for Her Majesty Queen Elizabeth's 90th Birthday was also a highlight where the jewellers created a rose gold and diamond brooch which transformed a beautiful pounamu carving of a fern. Royal interest in TORY & KO. is not the first time the luxury jeweller has caught the eye of the fashionable and famous. TORY & KO. has also been worn by Olympians Kayla Imrie and Emma Robinson, Silver Ferns legend Maria Folau (nee Tutaia), Royal New Zealand Ballet Dancer Abigale Boyle, actress Inge Rademeyer, hair and make-up artist Hil Cook, top model Amber Valletta and their list of Celebrity clients continues to grow. TORY & KO. were commissioned by the Governor-General of New Zealand to produce a piece for her Majesty the Queen for her 90th birthday. Working alongside a New Zealand carver we created a bespoke pounamu silver fern brooch with graduating grain set diamonds in rose gold. 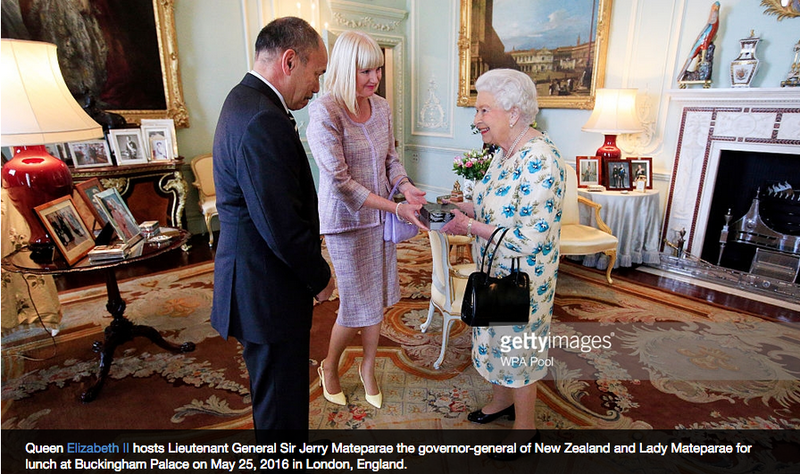 Pictured is the former Governor-General of New Zealand and current High Commissioner of New Zealand to the United Kingdom, His Excellency Sir Jerry Mateparae and Lady Janine Mataparae meeting her Majesty Queen Elizabeth II and presenting her with the brooch. Actress Evangeline Lilly wearing TORY & KO. Rose Quartz, Rose Gold and Diamond Star Earrings, Morganite, Diamond & Rose Gold Ring and an Opera length string of Pearls for a charity event for Ronald McDonald House - a TORY & KO. Charity - attended by stars of The Hobbit. Hair and Make-up Hil Cook, Styled by Sopheak Seng. Miranda Harcourt and Thomasin McKenzie Harcourt wearing Stella by TORY & KO. Earrings for the Premiere of the film The Changeover. TORY & KO. created a beautiful Tiara for the Audience Award Winner for the Finals in 2012. NZ Olympic Kayaker wearing Stella by TORY & KO. Swinging Star Earrings in a photoshoot for Wellington Woman Magazine. Actress Robin Tunney wearing a beautiful Seahorse Necklace designed by Victoria in the Film Paparazzi featuring Seahorse motifs studded with white topaz and moonstones. TORY & KO. created a Limited Edition line of jewellery called “Meteorite” as part of their Stella by TORY & KO. Collection. This was launched on the Runway at the ROCHELLE Show on closing night at NZ Fashion Week. 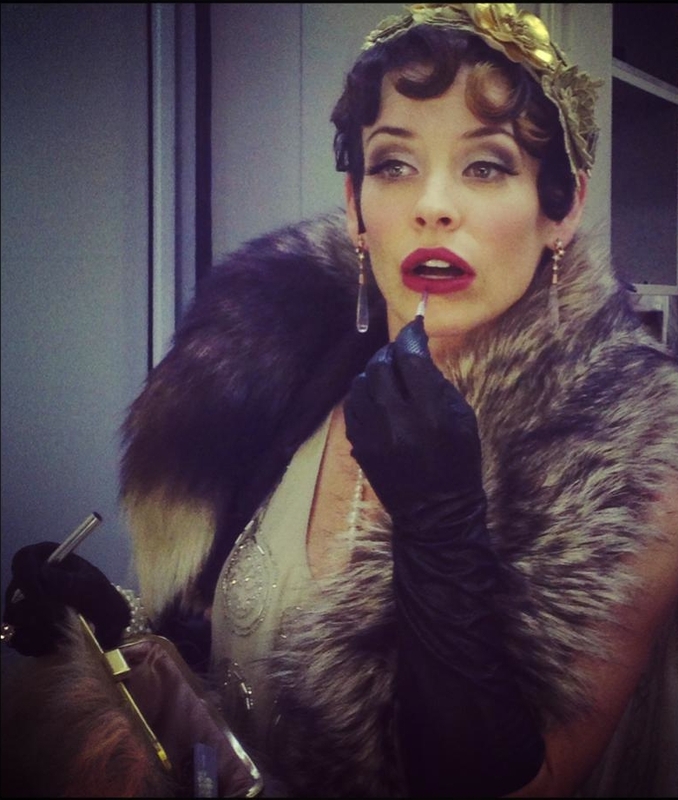 Hil Cook - Hair & Make-up stylist to Actress Evangeline Lilly (The Wasp, Lost, The Hobbit) chose to wear TORY & KO. jewellery to the World Premiere of the new MARVEL movie Antman & the Wasp. TORY & KO. featured in Wellington Woman Magazine. TORY & KO. featured in Eye Magazine Cover Image and Article.